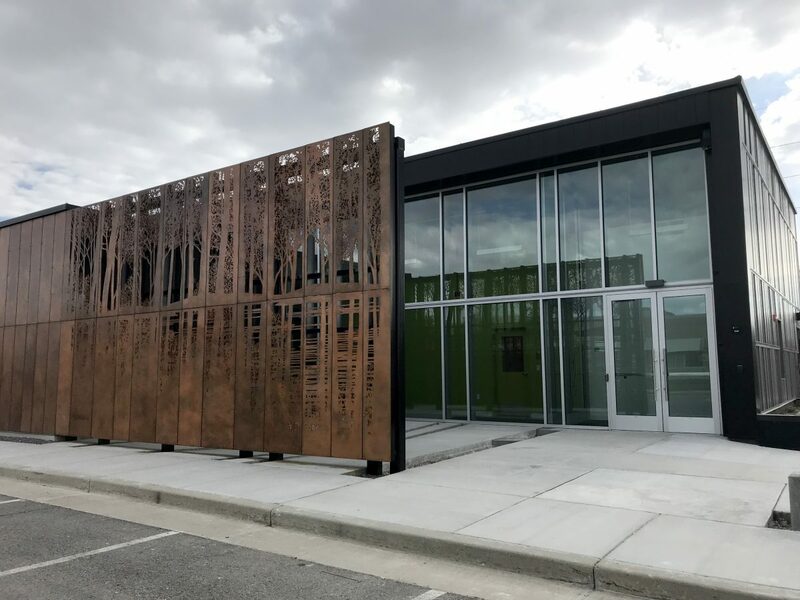 “Aspen Forest,” which fronts the new Utah Department of Environmental Quality Technical Support Center in Salt Lake City, is the latest in a number of successful public art projects by Salt Lake City artist Day Christensen. 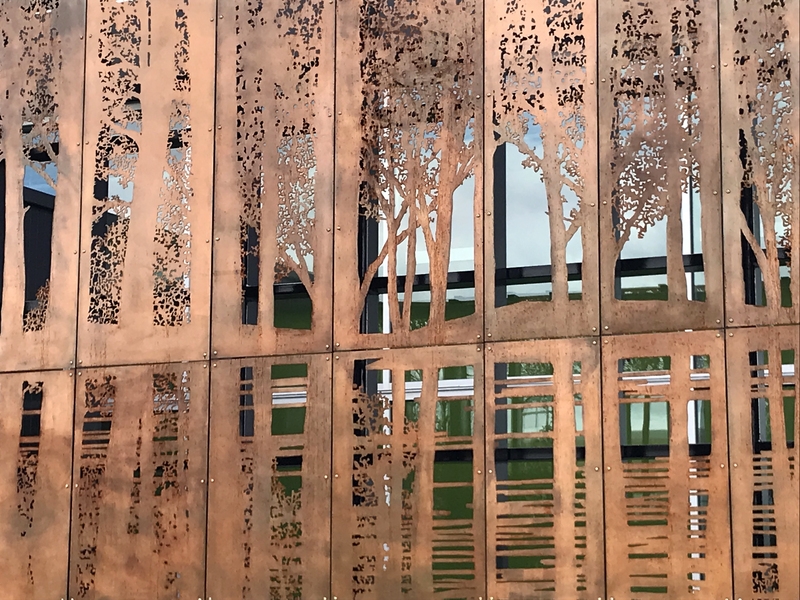 With a degree in art and design from Brigham Young University and a master’s in landscape architecture from Harvard’s School of Design, Christensen is one of the state’s more successful artists for public art projects. 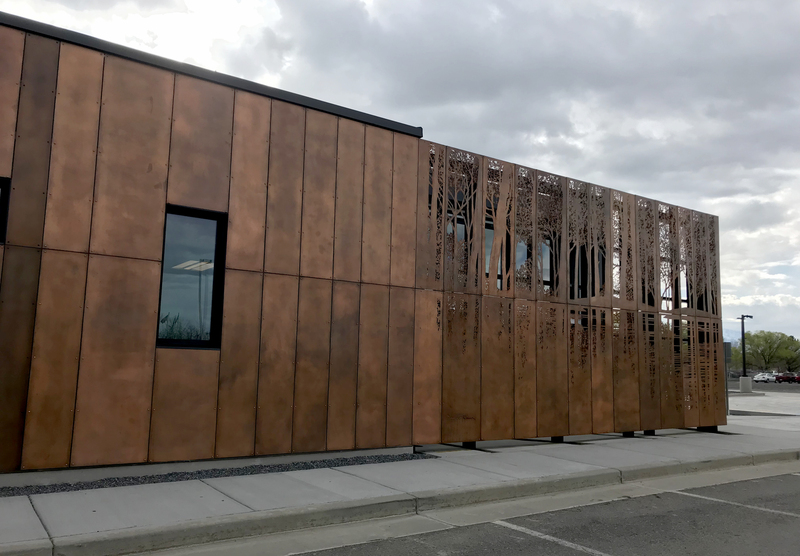 In addition to his numerous installations in Salt Lake City (you’ll find his works at the Salt Palace Convention Center, Gallivan Center, Steenblik Park, Popperton Park, Salt Lake County Public Works Building, SLC Main Library and Sprague Branch Library), he also has created pieces for Draper and Herriman. “Aspen Forest” is composed of 26 laser-cut steel panels that are 83″ tall and of varying widths and use imagery like an aspen forest, clouds and leaves moving in the wind to reflect the work done by the Technical Support Center.